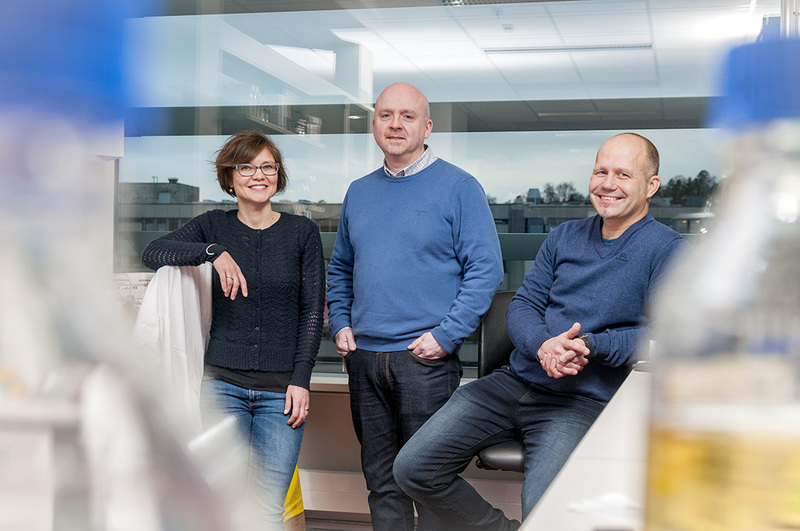 The Norwegian Cancer Society awarded NOK 173.8 millions NOK to cancer research through the annual open announcement in 2017. They publish popular science articles about research projects supported by them regularly. The research of Tor Erik Rusten and his coworkers in from the Tumor-Host Biology research group at the Department of Molecular Cell Biology at the Institute for Cancer Research has recently been presented in an article (in Norwegian) entitled "Double agent in the body's cells makes tumors grow". Here it is explained how tumor cells lose orientation and grow uncontrollably when the "double agent" protein LKB1 leads the cells in the wrong direction under certain conditions.